Complete information about the World and its cities. 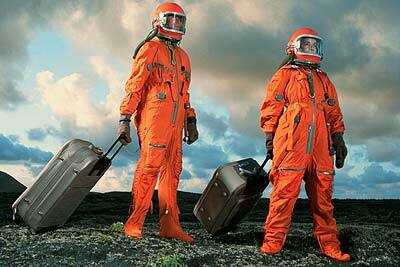 : Space Tourism lift Off in Abu Dhabi!!! You are sure to be surprised to know that Abu dhabi, one of the only remaining geographies of the world that doesn’t even have a passenger rail service, is on the road of becoming of a popular space tourism hub. 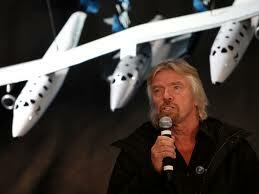 The place is on the forefront of becoming a space port in coming years after the successful commencement of the first rocket powered test flight in to the space was engineered by Virgin Galactic, the first commercial space tourism company of the world co owned by Aabar Investments of Abu Dhabi and Sir Richard Branson of Virgin Atlantic. The program has entered into its final phase prior to the actual commencement of commercial space tourism facilities from Spaceport America in New Mexico. 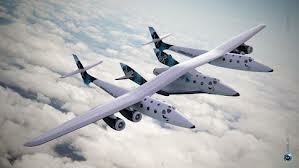 It was in 2009 when the deal was announced between the two companies that Abu Dhabi would be getting exclusive regional rights for the upcoming Virgin Galactic tourism and space research flight, thus leading to the proposed construction of a spaceport right here in this Middle East geography. The announcement comes as a big landmark for Abu Dhabi industry which is fast becoming global in it approach. In fact, the same Aabar investments earlier bought 9.1% in Mercedes Benz maker Daimler and a 4% stake in California based Tesla Motors company San Carlos, making it the most active of all the Abu Dhabi’s investment funds. The space port is also in line with the international plans of the emirate that has long competed for the international attention with its neighboring emirate Dubai. Said to be the richest of all the seven sheikhdoms that make up the United Arab Emirates, the space port decision will also help the emirate in diversifying its identity as just an oil reserve emirate. In fact, according the founder of Virgin Galactic, Richard Branson, the emirate will take a giant leap in terms of travel when it will launch its own port that will ferry passengers to the outer universe. It will also help in taking forward the emirate’s plans o introduce science and technology at the grassroots level and help in boosting economic growth and improving business and service opportunities in the area. It will also help in enhancing tourism and foreign investment in the region. So all you space junkies who have been dying to see just what’s outside this world of ours, Abu Dhabi spaceport will provide you with a once in a lifetime opportunity to experience weightlessness and a first hand look of how this beautiful Earth of ours looks from outside !! !